Here it is! Time again for Photo Art Friday! 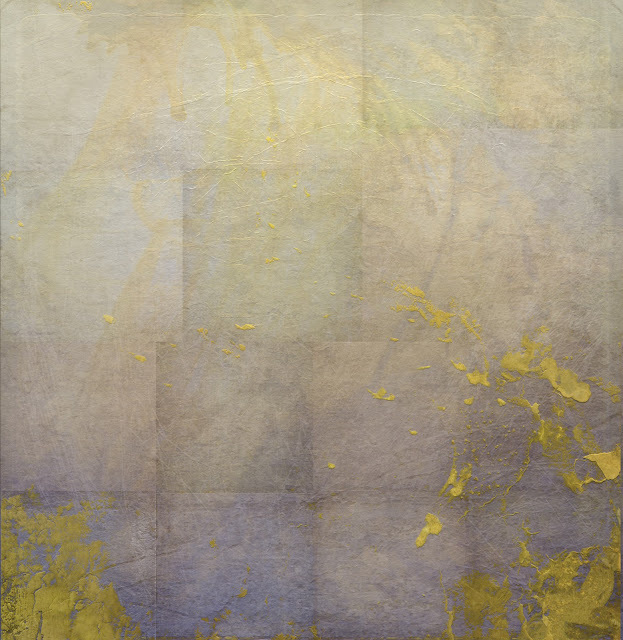 For this week's submissions you are encouraged to post any piece of photo art you choose OR share a piece of art where you use one of my textures AND THEN use a Layer Mask to finesse the texture application. It's always nice to have a choice, don't you think? Have you made your choice? I chose the second option and am using my old, favorite test photo for textures, my reliable pear. 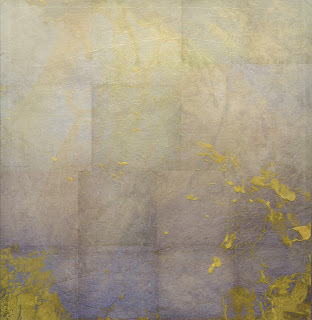 If you would like to add this new texture, "Splash of Gold" to your archives, click HERE. The 'gallery' doors always open early (7:00 p.m. EST, every Thursday) so you have more than three days to share your artwork here. Hope you can make time to revisit the gallery after you have posted, to see what other delights arrive over the weekend ... and then share a little comment love. 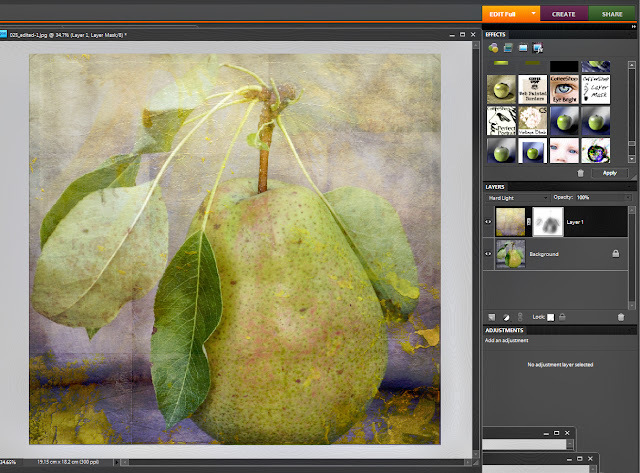 If you still have questions about layer masks, you could include your concerns in your post and hopefully other participants will share their tips with you. My goal has always been that PDPA become a venue for learning and sharing as well as showcasing. This could be a great opportunity for just that. 1. Submit any piece of your photo art. share a piece on which you have used one. 3. Share a piece of photo art that isn't 'pretty'. LOL ... it will probably be important to identify in your post which option you have chosen, so that commenters don't mistake choices #1 or #2 for number #3! By chance, less than an hour ago I finished the perfect example of "ordinary, everyday, gritty and grungy/crunchy". So I'm having a double helping today of this week's and next. Hope you don't mind. I have loved that pear each time you used it. And look forward to using the splash of gold. I'm new here Bonnie and love your site :). I hope it's okay that my piece isn't from this week. Bonnie, love this texture, and what you did with it here. This particular creation of yours reminds me of the standard presets that I've almost forgotten about since discovering textures and layers! Poster edges was always one of my favorites, but I haven't used it for so long. I forget about combining the presets and the textures. Thanks for the reminder....and for the challenge, Bonnie. 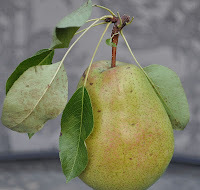 Yes, I love the pear with the added texture too, lovely! Great texture - thank you!! And I'm also really intrigued by option 3 for next week! Can't wait to start experimenting! I love the beautiful image created!! The pastel colors is what I like best. Thank you Bonnie! I am attracted to your style and found the pear you made fantastic! I hope to be able to do that someday. I try to comment on everybody's offering but sometimes, it just doesn't work, but I do appreciate everyone's work here. Thanks for your approach to learning a bout textures. I love that pear ... you get a delightful visual poetry. Wonderful. Wow that Pear piece is just stunning. I love the new texture (thanks for offering it) - I really wanted to try the Layer Mask this week but just couldn't figure it out. I'll keep on trying though. thanks for the tutorial and I will see what I can do!!! 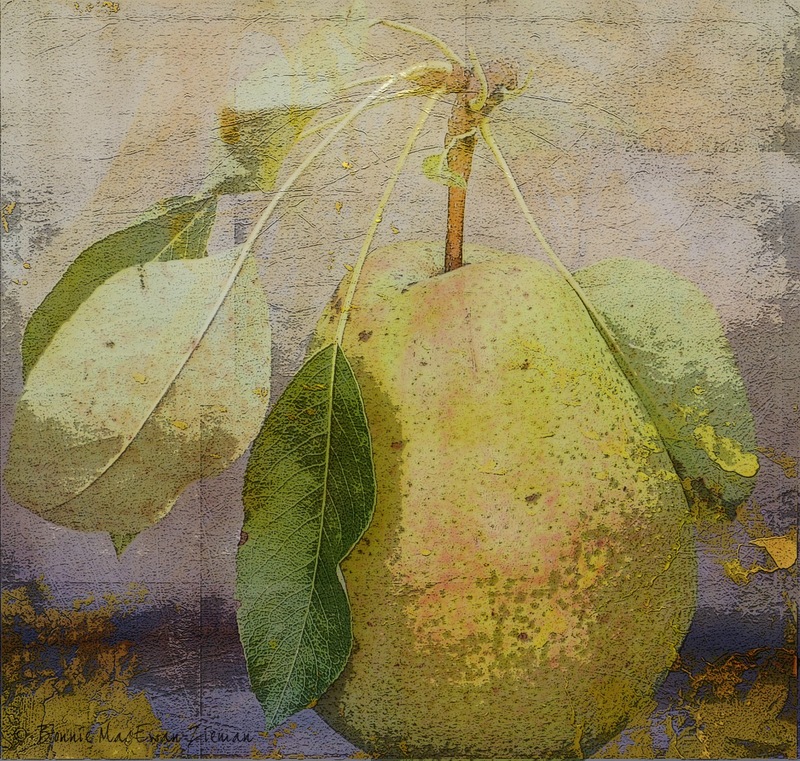 What a lovely framed print this treatment of your "old reliable" pear photo would make. Perhaps in a dining room. I love the soft tones and the warm golden hue against the cool grey background. Your texture brings the pear to life. Really a fine piece of art. Thanks for a great tutorial. Splash of Gold is a gorgeous texture that I'm sure a lot of us are going to enjoy using. It was a wonderful compliment to the pear photo! Bonnie, this is a beautiful texture! I love the effect on your pear photo. without limiting our creativity by giving us "rules". And thanks for the new texture! Beautiful work again, Bonnie, and I like your detailed recipe - you make it so easy for us! I tried the layer mask technique this time and am quite happy with the outcome - thank you for another great challenge, and a beautiful texture as well. I am loving your textures! I just completed a new card to go with my new line called "Gentleness." I used your "Soft Swirls" texture and it is lovely. I can't wait to post it. Thanks for all you do.